Can you believe Easter is only 18 days away? Are you ready for the all the Egg-tastic fun? 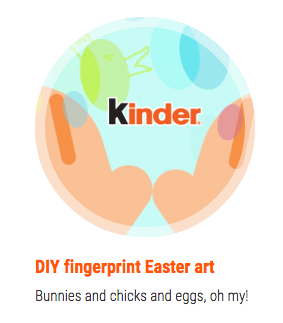 Last year the kids and I had a fabulous time with Kinder Canada and our DIY outdoor Easter Egg Hunt. 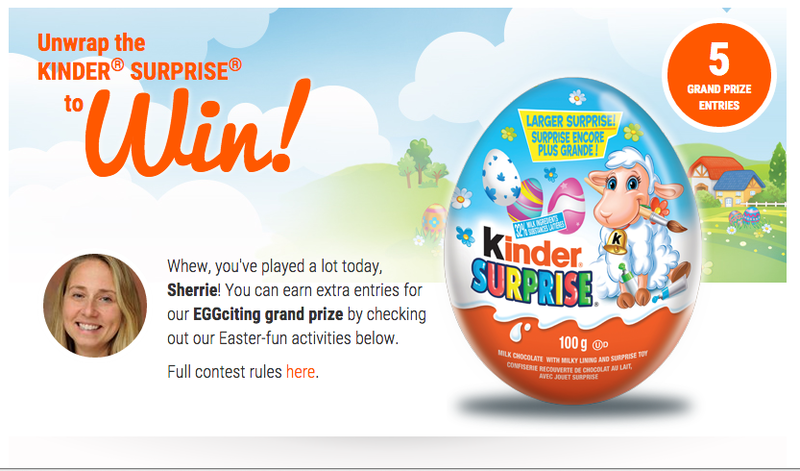 To celebrate Easter, Kinder Canada developed a fun and EGG-staordinary online contest: Unwrap the KINDER SURPRISE to Win! 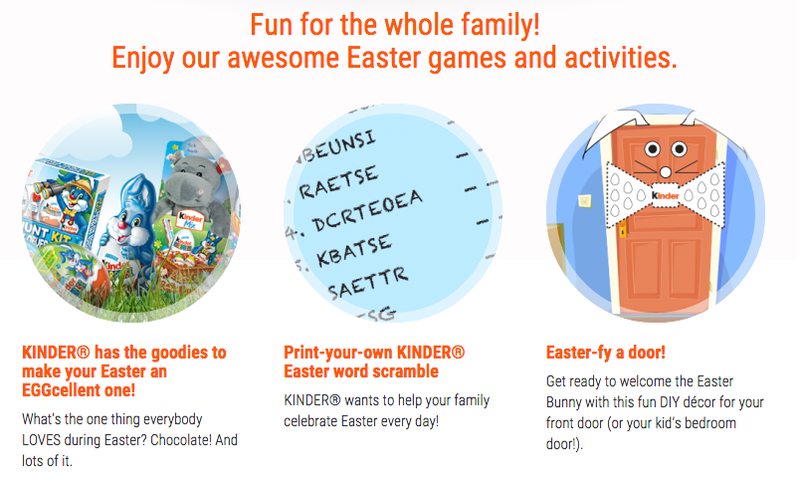 From March 16th, 2015 until March 31st 2015 open the new Kinder Easter app tab on the Kinder Canada Facebook page. Then digitally unwrap the 100g Kinder egg. Once “unwrapped” the egg will reveal and instant prize of the option to try again. You will automatically entered for the Kinder $3,000 “do-something-fun-with-the-family” grand prize gift card. 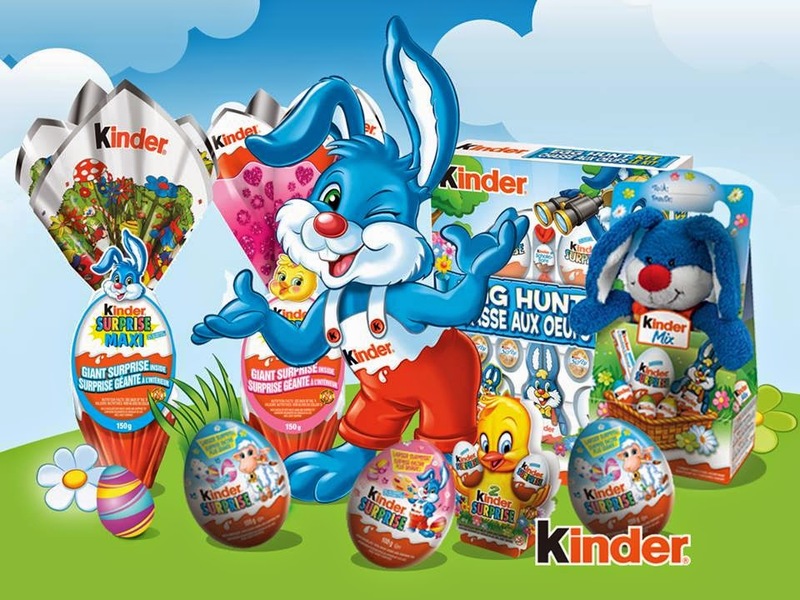 There will be two daily Kinder Easter gift baskets valued at $50.00 to be won and of course the $3,000 gift card in the grand prize draw. In true Kinder fashion, there are links to all the best Kinder goodies, Easter Word Scrambles, DIY Easter Bunny door decor and my personal favourite …. Remember you can enter daily! Hoppy Easter from my family to yours! ← The Ottawa Outdoor & Adventure Travel Show!